6:30 P.M. February 13, 2019 at the Pomfret Town Hall, 9 Day Street, Fredonia, N.Y. The Pledge of Allegiance was recited and led by Supervisor Steger. DULY MOVED by Supervisor Steger to accept the minutes of the January 9, 2019 Organizational Meeting minutes. The motion was seconded by Councilwoman Eckman and the motion carried. DULY MOVED by Supervisor Steger to accept the minutes of the January 9, 2019 Regular Town Board Meeting minutes. The motion was seconded by Councilman Christy and the motion carried. DULY MOVED by Supervisor Steger and seconded by Councilman Schaeffer to approve the payment of bills as presented by the Town Clerk on Abstract # 2 of 2019 with the withdrawal of payment for Voucher #44911 to E & M Engineers & Surveyors in the amount of $12, 500.00 from the General Fund. The motion was carried by a roll call vote. The Fredonia Fire Department December 2018 report is on file in the clerk’s office. There was a total of 147 calls with 31 being within the Town of Pomfret. The annual 2018 report is on file in the clerk’s office with a total of 2,089 calls with 402 being within the Town of Pomfret. This is a record for number of calls within in a year. The previous record was in 2016 with 2,048 calls. The January 2019 report had a total of 133 calls with 32 being within the Town of Pomfret. A reminder Town Hall will be closed on Monday, February 18, 2019 in observance of President’s Day. May 5-8, 2019 with reasonable cost to the town. The motion was seconded by Councilman Christy and carried. May 19-22, 2019 with reasonable cost to the town. The motion was seconded by Councilman Christy and carried. Chautauqua County Executive, George Borrello, introduced himself to the board. He stated his initiative this year is to visit each municipality during their scheduled board meeting. Chautauqua County wants to encourage and help local municipalities while assisting with collaborative efforts. He would like to have a county wide economic strategy to help tailor the needs regionally within each municipality. Supervisor Steger made a motion to change the minimum rate for Pomfret residential water customers by increasing the dollar amount from $50.00 to $60.00 for up to 5,000 gallons, per quarter, effective the next billing cycle. Also maintain the commercial water customers minimum rate of $69.50 with reducing the gallons allowed from 10,000 gallons to 5,000 gallons per quarter, effective the next billing cycle. The motion was seconded by Councilman Schaeffer and carried. Supervisor Steger made a motion to increase the commercial water rate from $14.40 per thousand gallons to $15.12 per thousand gallons, per quarter, effective next billing cycle. The motion was seconded by Councilman Schaeffer and carried. Supervisor Steger made a motion to increase the residential sewer rate from $12.24 per thousand gallons to $ 12.85, increase the commercial sewer rate from $18.51 per thousand gallons to $19.43. These rates are per quarter and effective next billing cycle. Councilman Schaeffer made a motion to authorize the Highway Superintendent to acquire the two charging stations as required to qualify for the New York State Clean Energy Grant. The Highway Superintendent is to report to the board on the recommended locations, installation, and costs in doing so. The motion was seconded by Councilman Sedota and carried. Supervisor Steger received correspondence from the Village of Fredonia Planning and Zoning boards regarding public hearings for the purposed hospital site plan and area variance. The public hearing for the Zoning board was held on February 12, 2019 at 6:30P.M. and the Planning board hearing will be held on February 20, 2019 at 6:30P.M. at the Fredonia Village Hall, 9-11 Church Street, Fredonia. Supervisor Steger informed the board a building permit has been issued by the Pomfret Code Enforcement Officer to UpState Tower for a telecommunications tower on Chautauqua Road. Councilman Christy made a motion to authorize Supervisor Steger to enter into an agreement with ‘Cummins’ for the planned equipment maintenance of the generator at the Lily Dale Waste Water Treatment Plant. This agreement is for three years with the first two years to be in the amount of $952.26 and the third-year payment of $974.42. The motion was seconded by Councilwoman Eckman and carried. Councilman Sedota questioned whether the board is to have an outside audit done yearly. He states, based on the NYS Comptroller’s office, an audit is to be completed as per NYS GML Sec. 123. Supervisor Steger made a motion for Councilman Sedota to obtain proposals to include in next year’s budget for an audit to be conducted finalizing the year of 2019. The motion was seconded by Councilman Schaeffer and carried. Councilman Christy addressed Highway Superintendent Gardner with regards of how well the highway department is being run. He thanked him and the crew for their hard work during the recent storms the area has experienced. Councilwoman Eckman congratulated Supervisor Steger on his “Community Service’ award from the Fredonia Chamber of Commerce. Councilman Christy made a motion to approve the recommendation of Highway Superintendent Gardner to declare the following items surplus and no longer needed for municipal purposes and directs the Highway Superintendent to dispose of them at the best advantage to the tax payer. The motion was seconded by Councilwoman Eckman and carried. Quotes are still being gathered for the damage done to the Forest Hill Cemetery maintenance building. The creek on Darby Switch Rd. has been reconfigured. The work was done by Chautauqua County thru shared services. DULY MOVED by Councilwoman Eckman, seconded by Councilman Sedota to adjourn the Regular Town Board meeting at 7:59 P.M. The motion carried. 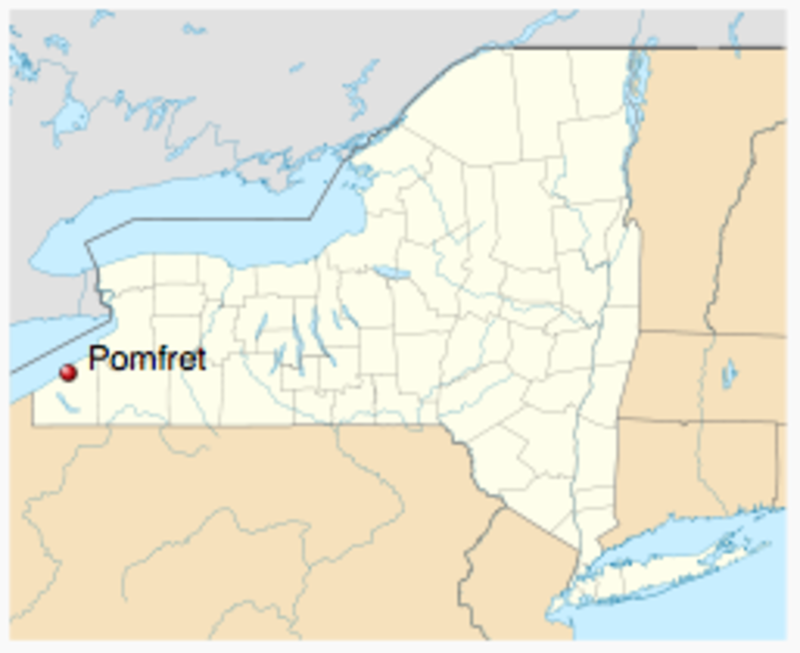 REGULAR MEETING of the Town Board of the Town of Pomfret held at 6:30 P.M. January 09, 2019 at the Pomfret Town Hall, 9 Day Street, Fredonia, N.Y. The Pledge of Allegiance was recited prior to the Organizational Meeting held at 6:00P.M. DULY MOVED by Deputy Supervisor Eckman to accept the minutes of the December 12, 2018 Town Board Meeting. The motion was seconded by Councilman Christy and the motion carried. DULY MOVED by Deputy Supervisor Eckman to accept the minutes of the December 27, 2018 Public Hearing Minutes-Pomfret/Fredonia Fire Contract. The motion was seconded by Councilman Christy and the motion carried. DULY MOVED by Deputy Supervisor Eckman to accept the minutes of the December 27, 2018 Special Meeting Minutes. The motion was seconded by Councilman Christy and carried. DULY MOVED by Deputy Supervisor Eckman and seconded by Councilman Schaeffer to approve the payment of bills as presented by the Town Clerk on Abstract # 13 of 2018. The motion was carried by a roll call vote. DULY MOVED by Deputy Supervisor Eckman and seconded by Councilman Sedota to approve the payment of bills as presented by the Town Clerk on Abstract # 1 of 2019. The motion was carried by a roll call vote. The annual Historian report for 2018 is on file with the Clerk’s office and has been distributed to the Town Board. The annual Town Clerk report for 2018 has been distributed to the Town board. The annual Code Enforcement Officer report for 2018 is on file with the Clerk’s office and has been distributed to the Town Board. A reminder Town Hall will be closed on Monday, January 21, 2019 in observance of Martin Luther King Jr. Day. Deputy Supervisor Eckman made a motion to approve the 2018 Town Justice Court books which have been reviewed by Supervisor Steger and have been accepted by the Pomfret Town Board. The motion was seconded by Councilman Christy and carried. Deputy Supervisor Eckman made a motion to adopt the following resolution establishing Energy Benchmarking requirements for certain municipal buildings for the Town of Pomfret. The resolution was seconded by Councilman Christy and carried by a roll call vote. (A) “Benchmarking Information” shall mean information generated by Portfolio Manager, as herein defined including descriptive information about the physical building and its operational characteristics. (B) “Building Energy Benchmarking” shall mean the process of measuring a building’s Energy use, tracking that use over time, and comparing performance to similar buildings. (C) “Commissioner” shall mean the head of the Department. 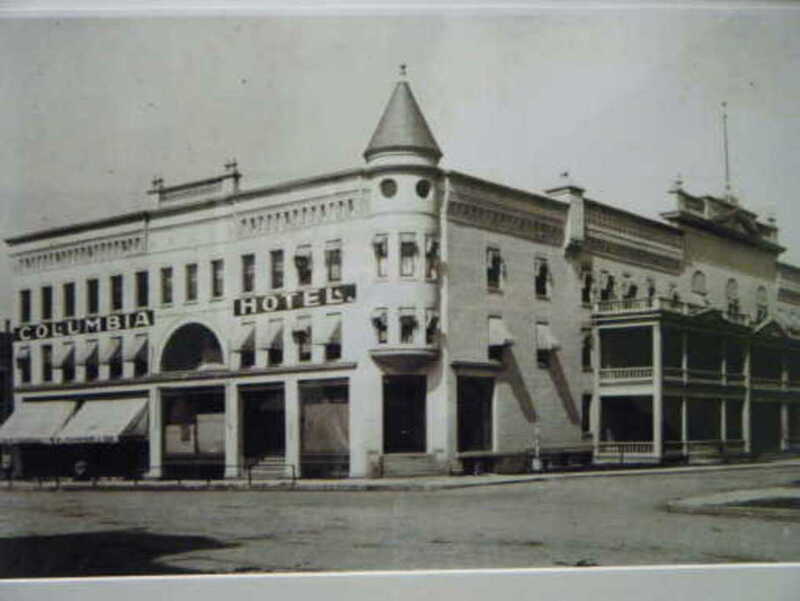 (4) “Covered Municipal Building” shall mean a building or facility that is owned or occupied by the Town of Pomfret that is 1,000 square feet or larger in size. (6) “Energy” shall mean electricity, natural gas, steam, hot or chilled water, fuel oil, or other product for use in a building, or renewable on-site electricity generation, for purposes of providing heating, cooling, lighting, water heating, or for powering or fueling other end-uses in the building and related facilities, as reflected in Utility bills or other documentation of actual Energy use. (7) “Energy Performance Score” shall mean the numeric rating generated by Portfolio Manager that compares the Energy usage of the building to that of similar buildings. (8) “Energy Use Intensity (EUI)” shall mean the kBTUs (1,000 British Thermal Units) used per square foot of gross floor area. (9) “Gross Floor Area” shall mean the total number of enclosed square feet measured between the exterior surfaces of the fixed walls within any structure used or intended for supporting or sheltering any use or occupancy. (11) “Portfolio Manager” shall mean ENERGY STAR Portfolio Manager, the internet-based tool developed and maintained by the United States Environmental Protection Agency to track and assess the relative Energy performance of buildings nationwide, or successor. (12) “Utility” shall mean an entity that distributes and sells Energy to Covered Municipal Buildings. (13) “Weather Normalized Site EUI” shall mean the amount of Energy that would have been used by a property under 30-year average temperatures, accounting for the difference between average temperatures and yearly fluctuations. (1) This policy is applicable to all Covered Municipal Buildings as defined in Section 2 of this policy. (2) The Commissioner may exempt a particular Covered Municipal Building from the benchmarking requirement if the Commissioner determines that it has characteristics that make benchmarking impractical. (1) No later than May 1, 2017, and no later than May 1 every year thereafter, the Commissioner or his or her designee from the Department shall enter into Portfolio Manager the total Energy consumed by each Covered Municipal Building, along with all other descriptive information required by Portfolio Manager for the previous calendar year. (2) For new Covered Municipal Buildings that have not accumulated 12 months of Energy use data by the first applicable date following occupancy for inputting Energy use into Portfolio Manager, the Commissioner or his or her designee from the Department shall begin inputting data in the following year. (iv) A comparison of the annual summary statistics (as required by Section 5(2)(b)(iii) of this Policy) across calendar years for all years since annual reporting under this Policy has been required for said building. The Department shall maintain records as necessary for carrying out the purposes of this Policy, including but not limited to Energy bills and other documents received from tenants and/or Utilities. Such records shall be preserved by the Department for a period of three (3) years. (1) The Commissioner or his or her designee from the Department shall be the Chief Enforcement Officer of this Policy. (2) The Chief Enforcement Officer of this Policy may promulgate regulations necessary for the administration of the requirements of this Policy. (3) Within thirty days after each anniversary date of the effective date of this Policy, the Chief Enforcement Officer shall submit a report to the Pomfret Town Board including but not limited to summary statistics on Energy consumption for Covered Municipal Buildings derived from aggregation of Benchmarking Information, a list of all Covered Municipal Buildings identifying each Covered Municipal Building that the Commissioner determined to be exempt from the benchmarking requirement and the reason for the exemption, and the status of compliance with the requirements of this Policy. This policy shall be effective immediately upon passage. The invalidity or unenforceability of any section, subsection, paragraph, sentence, clause, provision, or phrase of the aforementioned sections, as declared by the valid judgment of any court of competent jurisdiction to be unconstitutional, shall not affect the validity or enforceability of any other section, subsection, paragraph, sentence, clause, provision, or phrase, which shall remain in full force and effect. Deputy Supervisor Eckman made a motion to adopt the following NYS Unified Solar Permit Application Resolution. The motion was seconded by Councilman Christy and carried by a roll call vote. RESOLVED, any further actions required of the Town of Pomfret to affect the foregoing are hereby authorized and the Town Supervisor is hereby authorized to execute and deliver any instruments, documents or the like as required to affect the same. Deputy Supervisor Eckman made a motion to adopt the following resolution authorizing the Town of Pomfret to use landfill tipping credits for the demolition of the property located at 4627 West Main Road, Fredonia. The motion was seconded by Councilman Sedota and carried by a roll call vote. RESOLVED, the Town Board authorizes the use of its available municipal landfill credits for the disposal of all waste and debris associated with the demolition of 4627 West Main Street, Fredonia, SBL # 129.00-3-43 to the Chautauqua County Landfill as per the Share Services Agreement. Deputy Supervisor Eckman made a motion to authorize Supervisor Steger to enter into an agreement for the Intermunicipal Cooperation Water Agreement between the Organizing Local Municipalities of the North Chautauqua Water District which include the Town of Portland, Village of Brocton, Town of Dunkirk and the Town of Sheridan. The motion was seconded by Councilman Christy and carried by a roll call vote. Deputy Supervisor Eckman brought the water/sewer rates for Pomfret Districts before the board for discussion. The rates and discussion were tabled to the February 13, 2019 meeting. Deputy Supervisor Eckman announced the Fredonia Chamber of Commerce will hold their annual meeting January 28, 2018 at Manning’s Fireside. Supervisor Steger is being awarded the “Community Service Award”. Councilman Sedota addressed the board regarding his “No” vote on the 2019 budget. He clarified he is not in favor of raising taxes. He did not feel it necessary or beneficial to argue during the budget workshops when he felt he was going to meet opposition from the rest of the board. Forest Hill Cemetery maintenance building was damaged by the recent winds. The tree which fell on the building has been removed. Superintendent Gardner is looking to obtain quotes to have the roof fixed. Highway Superintendent Gardner stated the Town has been denied for the grant application for a salt shed at the highway barns. He is pursuing additional avenues and will report back to the board. Councilman Christy made a motion to authorize Highway Superintendent Gardner to purchase two 2019 John Deer X590 Garden tractors. The Town will be trading in two 201 John Deere X540 tractors with 42” Mulch/Rear discharge decks. The amount for the trade in is $3,220.00 each. The amount for the two new tractors with the trade in values will be $5,940.00. Highway Superintendent Gardner has the permission to make the exchange with LANDPRO Equipment at state contract price #PC68131. The motion was seconded by Deputy Supervisor Eckman and carried unanimously. Highway Superintendent Gardner passed out to the board a preliminary work sheet for 2019. He has stated projects in which he wishes to complete and the estimated cost to do those projects. DULY MOVED by Councilman Sedota, seconded by Councilman Christy to adjourn the Regular Town Board meeting at 6:56P.M. The motion carried. Deputy Supervisor Eckman began the Organizational meeting with the Pledge to the Flag. DULY MOVED by Councilman Christy, seconded by Councilman Schaeffer and carried. DULY MOVED by Councilman Schaeffer, seconded by Councilman Christy and carried. CouncilwomanEckman appointed as Deputy Supervisor at the salary of $600.00. DULY MOVED by Councilman Christy seconded by Councilman Schaeffer and carried. Town Clerk Dispense appoints Ann Renckens and EvaDawn Bashaw as Deputy Town Clerks. DULY MOVED by Councilman Sedota, seconded by Councilman Christy and carried. Highway Superintendent JudeGardner appoints Charles White as Deputy Highway Superintendent at the rate of $.50 per hour in addition to his hourly rate.Highway Superintendent Jude Gardner appoints Jeff O’Brien as second Deputy Highway Superintendent at the rate of $0.50 per hour in addition to his hourly rate. Mr. O’Brien is to act as a Deputy Highway Superintendent when the Highway Superintendent and Deputy are not available. 1.One (1) day earned per month, twelve (12) days earned per year. 2.After three (3) days, a doctor’s certificate is required. 3.Sick leave can be accumulated up to one hundred and sixty-five (165) days at full salary. Each eligible person shall receive (2) personal leave days per year. 1. No paid vacation allowed during first full year. Board. The grant of any employment benefit in these resolutions does not, nor is it intended to,create a contract. The Town Board reserves the right to amend, modify, change, or cancel any such benefit. ten (10) years or more are eligible for health insurance. percent (100%) of the premium cost without contribution from the Town of Pomfret. cost without contribution from the Town of Pomfret. RESOLVED, that the Town health insurance policy is so amended, and that the Town Employee Handbook and any other related document amended by this resolution shall be modified and amended as stated herein. for eligible employeeswho choose to not take advantage of Health Insurance offered by the Town.No parttime Employee or elected Official is entitled to participate in any buyout plan. premium cost without contribution from the Town of Pomfret. to any retired or former Town employee or official. one hundred per cent (100%) of the annual premium. March 16, 1992, will remain in effect. DULY MOVED by Councilman Sedota, seconded by Councilman Schaeffer and carried. are designated as Town depositories. DULY MOVED by Councilman Christy, seconded by Councilman Sedota and carried. Pomfret Town Hall will serve as the posting location for notices as required by law. The mileage reimbursement is set at $ .58 per mile for Town officials while on Town business, subject to Town Board approval. Elected Officials will not be reimbursed for travel within the Town boundaries. reappointment of James Joy-Chairman to serve on the Town Planning Board. the annual report due January 30, 2019. Street, Fredonia, New York at 6:30 PM, unless otherwise notified. Board willbe held the first Wednesday of each month at the Town Hall, 9 Day Street, Fredonia, New York at 6:30 PM, as needed. and remove at his discretion for the year 2019. DULY MOVED by Councilman Schaeffer, seconded by Councilman Sedota and carried. implements without prior approval of the board. DULY MOVED by Councilman Christy, seconded by Councilman Sedota to approve the Supervisor’s committee appointments. The motion carried. DULY MOVED by Councilman Schaeffer, seconded by Councilman Christy to adjourn the meeting at 6:28P.M. The motion carried. PUBLIC HEARING of the Town Board of the Town of Pomfret held Thursday December 27, 2018 at 4:30P.M. at the Pomfret Town Hall, 9 Day St., Fredonia, N.Y. 14063. Pledge of Allegiance was led by Supervisor Steger. The name of the volunteer fire company to answer and attend upon fire calls is the Fredonia Volunteer Fire Department. The contract to be entered into shall be with the Village of Fredonia with the consent of the Fredonia Volunteer Department. The Village shall maintain and operate a fire station containing suitable apparatus and appliances for the purpose of furnishing adequate fire protection. The Village shall insure all of its equipment against all liability and damage. Said contract shall be for a period of three years to commence January 1, 2019 and terminate December 31, 2021. For such fire protection services, the Town shall pay the sum of $411,610.00 in 2019, $418,264.00 in 2020 and $425,682.00 in 2021. Councilman Christy stated all parties involved worked very well together. This is essentially the same contract as previously adopted but with different financial amounts. With no additional comments or concerns, a motion was made by Supervisor Steger, seconded by Councilwoman Eckman to close the Public Hearing at 4:33 P.M. The motion carried unanimously. 4:35 P.M December 27, 2018 at the Pomfret Town Hall, 9 Day Street, Fredonia, N.Y. The purpose of this Special Meeting of the Pomfret Town Board is for the Pomfret/Fredonia Fire Contract and any other lawful business that may come before the board. Supervisor Steger made a motion, seconded by Councilwoman Eckman to approve the following budget transfers. The motion was carried unanimously. Supervisor Steger made a motion, seconded by Councilman Christy to approve the following budget transfers. The motion was carried unanimously. Supervisor Steger made a motion, seconded by Councilman Sedota to approve the following budget transfers. The motion was carried unanimously. Supervisor Steger made a motion to hire Paul Kingsbury, 3161 Straight Rd., Fredonia at a rate of pay of $18.00 per hour. The motion was seconded by Councilwoman Eckman and carried unanimously. With no further lawful business before the Pomfret Town Board, the Pomfret Town Board moved to adjourn. DULY MOVED by Councilman Christy, seconded by Councilman Sedota to close the Special Town Board Meeting at 4:45 P.M. The motion was carried unanimously. REGULAR MEETING of the Town Board of the Town of Pomfret held at 6:30 P.M. December 12, 2018 at the Pomfret Town Hall, 9 Day Street, Fredonia, N.Y. The Pledge of Allegiance of the Flag was recited to begin the regular town board meeting. DULY MOVED by Supervisor Steger to accept the November 14, 2018 town board meeting minutes. The motion was seconded by Councilman Sedota and the motion carried. DULY MOVED by Supervisor Steger, seconded by Councilman Schaeffer to approve the payment of bills as presented by the Town Clerk on Abstract # 12 of 2018 with no additions. The motion was carried unanimously by a roll call vote. DULY MOVED by Supervisor Steger, seconded by Councilman Christy to approve the following General Fund Town wide budget transfers. The motion carried unanimously. TO A9055.8 Emp. Benefits Disability Ins. DULY MOVED by Supervisor Steger, seconded by Councilwoman Eckman to approve the following General Fund Outside Village budget transfers. The motion carried unanimously. DULY MOVED by Supervisor Steger, seconded by Councilman Schaeffer to approve the following Highway Fund Outside Village budget transfers. The motion carried unanimously. TO DB9055.8 Emp. Benefits Disability Ins. The Historian report for December 2018 is on file with the Town Clerk and has been distributed to the Town Board. The Fredonia Fire Department has given their November monthly report. There was a total of 154 calls with 28 being within the Town of Pomfret. The Town Clerk’s office will be closed Monday, December 24, 2018 and Monday December 31, 2018. John Mayr, Southern Tier West, conducted a presentation regarding the Clean Energy Community Grant. This is a program for local governments to earn recognition and grant funding by demonstrating leadership in the area of clean energy. Local governments must complete four of the ten high-impact actions which were discussed at length. All municipalities are eligible in NYS to apply for funds. Municipalities may form partnerships and submit a joint proposal with one being the lead applicant. Supervisor Steger accepted with regret the resignation of Pomfret Dog Control Officer, Daniel Smith, effective December 31, 2018. Mr. Smith has worked for the Town of Pomfret for 25 years. Pomfret Town Board thanked Mr. Smith for his dedication and service to the town. Councilwoman Eckman made the motion to authorize Supervisor Steger to enter a one-year agreement for 2019 with Catherine Pratt for the fitness instructor in the amount of $35.00 per session. This amount is not to exceed $3,600.00. The motion was seconded by Councilman Schaeffer and carried. Councilman Christy made the motion to authorize Supervisor Steger to enter into an agreement with the Mary E. Seymour Library in the amount of $2,000.00 for the year 2019. The motion was seconded by Councilwoman Eckman and carried. Councilman Christy made the motion to authorize Supervisor Steger to enter into an agreement with Eagle Systems Office Technologies for the TOSHIBA ESTUDIO 3055C copier. The annual Service & Supply Maintenance Agreement is for $551.05 for the year of 2019. The motion was seconded by Councilwoman Eckman and carried. Councilman Schaeffer made the motion to authorize Supervisor Steger to enter into an agreement with the Darwin Barker Library for 2019 in the amount of $68,000.00 to be paid in four quarterly payments. The motion was seconded by Councilwoman Eckman and carried. Councilwoman Eckman made the motion to authorize Supervisor Steger to enter into an agreement with the Cassadaga Lakes Association for 2019 in the amount of $2,000.00 for weed removal. The motion was seconded by Councilman Sedota and carried. Councilwoman Eckman made the motion to authorize Supervisor Steger to enter into an agreement with the Forest Lodge #166 in the amount of $7,200.00 for rent for the year of 2019. The motion was seconded by Councilman Schaeffer and carried. Councilman Christy made a motion to scheduled a Public Hearing for the Pomfret/Fredonia 2019 Fire Contract for December 27, 2018 at 4:30P.M. at Pomfret Town Hall, 9 Day Street, Fredonia. The motion was seconded by Councilwoman Eckman and carried. Councilman Christy made a motion to schedule a Special Meeting of the Pomfret Town Board for the purpose of Pomfret/Fredonia Fire Contract for December 27, 2018 at 4:45P.M. at Pomfret Town Hall, 9 Day Street, Fredonia. The motion was seconded by Councilman Sedota and carried. Supervisor Steger distributed a draft of the ‘Intermunicipal Agreement’ for the Northern Chautauqua Water District. He is anticipating have a final draft for the board to approve within the next couple months. He will be attending a meeting for the Northern Chautauqua Water District December 13, 2018. Phase I is complete. They are beginning the bidding process for Phase II. Supervisor Steger has received documents from NYS Dept. of Transportation regarding the Rt. 60 and Rt. 20 round-a-bout. Temporary roadways will be in place while construction is in progress. The project is moving forward with construction to be finalized at the end of construction season 2019. Councilman Christy stated for the record the Town Board works very hard each year during budget season. He was disappointed and ‘sad’ when the 2019 Preliminary Budget came to vote and Councilman Sedota casted the only ‘No’ vote. Councilman Christy stated during the budget workshops there was little to no discussion from Councilman Sedota regarding the budget, which lead the impression Councilman Sedota was in favor of the budget. Councilman Christy also stated for the record, Councilman Sedota was the only council member who supported an increase to the Council members salary. Councilman Sedota responded to Councilman Christy, stating he did not believe it was a ‘horrible budget’, however he does not believe in raising taxes which is why he voted ‘No’ to the overall budget which has a .5 increase. Councilwoman Eckman stated for the record she was disappointed when Councilman Sedota casted the only ‘No’ vote on the 2019 Budget. She was disappointed because there were no discussions brought to the table during budget workshops by Councilman Sedota regarding making improvements to the budget. Councilwoman Eckman stated for the record she is not, not against any kind of tax cut; however, she is not for ‘gutting’ a budget where the Town cannot perform services the residents need. NYS Department of Transportation approached Superintendent Gardner regarding a state-owned road within the Town of Pomfret. They have no interest in maintaining this road in the future and have offered it to the Town. After a discussion, the board concluded they have no interest in taking responsibility for this road. This state road is located on the west side of Route 60, running north and south, across from the Ulrich Trailer Park, Cassadaga, also known as ‘old Rt. 60’. DULY MOVED by Councilman Christy, seconded by Councilman Schaeffer to adjourn the regular town board meeting at 7:42 P.M. The motion was carried unanimously. REGULAR MEETING of the Town Board of the Town of Pomfret held at 6:30 P.M. November 14, 2018 at the Pomfret Town Hall, 9 Day Street, Fredonia, N.Y.
DULY MOVED by Supervisor Steger to accept the October 10, 2018 town board meeting minutes. The motion was seconded by Councilman Schaeffer and the motion carried. DULY MOVED by Supervisor Steger to accept the minutes of the November 7, 2018 Public Hearing Minutes-Lily Dale Fire Contract. The motion was seconded by Councilwoman Eckman and carried. DULY MOVED by Supervisor Steger to accept the minutes of the November 7, 2018 Public Hearing Minutes-2019 Preliminary Budget. The motion was seconded by Councilman Christy and carried. DULY MOVED by Supervisor Steger, seconded by Councilman Schaeffer to approve the payment of bills as presented by the Town Clerk on Abstract # 11 of 2018 with no additions. The motion was carried unanimously by a roll call vote. The Historian report for November 2018 is on file with the Town Clerk and has been distributed to the Town Board. The Fredonia Fire Department has given their October monthly report. There was a total of 179 calls with 37 being within the Town of Pomfret. A motion made by Supervisor Steger, seconded by Councilman Sedota, to adopt the preliminary 2019 budget. This budget reflects a town wide rate of 3.9819360 additional outside village rate of 4.6194474 and total outside village rate of 8.6013834. There is 0.05 increase for 2019 budget. The motion passes to adopt the Preliminary 2019 Budget. Supervisor Steger made a motion to enter into an agreement with the Lily Dale Fire Department, Inc. for a period of one year, January 1, 2019 until December 31, 2019 providing protection to the Lily Dale Fire Protection District. For such service the Lily Dale Fire Department shall be paid at a rate of $30,100.00 for the year of 2019. The motion was seconded by Councilman Sedota and carried unanimously. Supervisor Steger made a motion to schedule the ‘Organizational Meeting’ on January 9, 2019 at 6:00P.M. at Town Hall, 9 Day Street, Fredonia. The motion was seconded by Councilman Sedota and carried. Supervisor Steger made a motion to schedule a public hearing for the purpose of the Pomfret/Fredonia Fire contract on December 12, 2018 at 6:15P.M. at Town Hall, 9 Day Street, Fredonia. The motion was seconded by Councilman Christy and carried. Councilwoman Eckman made a motion to authorize Supervisor Steger to conduct all year end business in December of 2018. The motion was seconded by Councilman Christy and carried. Supervisor Steger made a motion to declare the following items as surplus and to be disposed of properly and at the benefit of the town. The motion was seconded by Councilman Schaeffer and carried. The Northern Chautauqua Community Foundation is holding its annual Community Foundation week. NCCF has also given its annual report and is on file in the clerk’s office. Councilman Christy made a motion to authorize Supervisor Steger to execute contracts with E & M Engineering, Municipal Solutions, and Barclay Damon for engineering, financial consulting, and bond counsel for the Lily Dale water district. The motion was seconded by Councilman Schaeffer and carried unanimously. Councilman Sedota applauded Highway Superintendent Gardner for the job he has been doing with the department. Councilwoman Eckman asked for a moment of silence for former Pomfret Supervisor, Edward A. “Bud” Woloszyn, who passed away. He was supervisor from 1998-2001. Councilwoman Eckman stated she has been in contact with the NYS Department of Transportation regarding the traffic circle to be located at the intersection of Rt. 20 and Rt. 60. Plans are moving forwarded and will be forthcoming to the town when available. CHIPS reimbursement has been submitted and finalized for 2018. Highway Superintendent Gardner thanked Ann Renckens, Highway Clerk for her efficiency in getting the paperwork submitted. Superintendent Gardner is working with Southern Tier West to apply for a grant to have electric car re-charging stations in the Town of Pomfret. He will have more information for the next meeting. Patching, mowing, and chopping are all complete for the year 2018. The highway department is ready for winter and have already utilized the plowing equipment. Superintendent Gardner is still continuing to work on grant monies for the salt shed. He stated should the grant not be awarded, he is working on another plan to replace the shed at the highway barns. Upstate Tower is looking to move forward with the cell tower located on Chautauqua Road. Supervisor Steger and Attorney Passafaro will work on finalizing the lease terms. Attorney Passafaro has a court conference with Assessor Muldowney regarding the tax case on November 15, 2018. He will report back to the board at next month’s meeting. DULY MOVED by Councilman Schaeffer, seconded by Councilwoman Eckman to adjourn the regular town board meeting at 7:17P.M. The motion was carried unanimously. PUBLIC HEARING of the Town Board of the Town of Pomfret held Wednesday, November 7, 2018 at 5:55P.M. 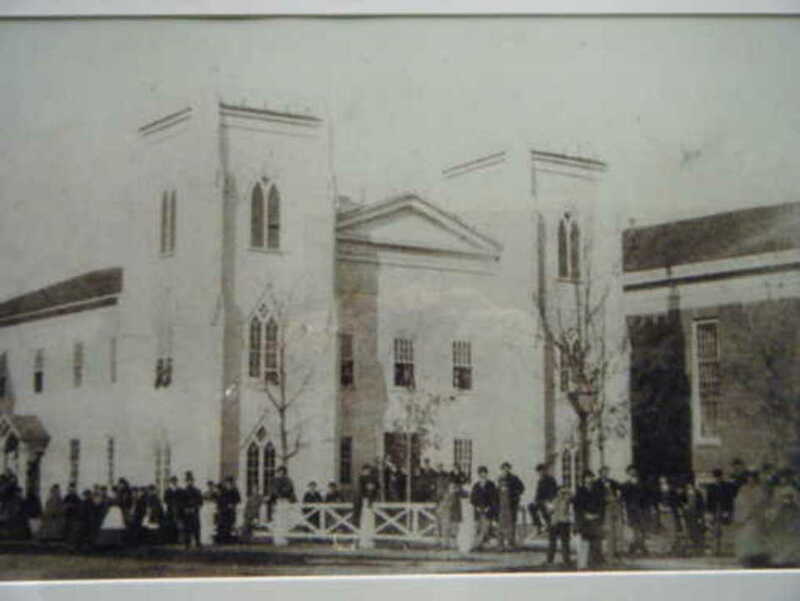 at the Pomfret Town Hall, 9 Day St., Fredonia, N.Y. 14063. Supervisor Steger opened the Public Hearing for the purpose of the 2019 Lily Dale Fire Contract. The purposed amount for the 2019 contract is $30,100.00. Supervisor Steger applauded the Lily Dale Fire Department for keeping the budget in line and for being self sufficient to keep costs down. With no additional comments or concerns a motion was made by Supervisor Steger, seconded by Councilman Schaeffer to close the Public Hearing at 5:56 P.M. The motion carried unanimously. PUBLIC HEARING of the Town Council of the Town of Pomfret held Wednesday, November 7, 2018 at 6:00P.M. at the Town Building, 9 Day Street, Fredonia, New York. The Pledge of allegiance was recited before the prior public hearing. Supervisor Steger opened the Public Hearing for the purpose of the 2019 Budget. This budget reflects a Town wide Rate of 3.9847596. Additional Outside Village rate of 4.6194474 and Total Outside Village rate 8.6042069. There is 0.05 increase for 2019 Budget. The 2019 budget is $25,000.00 below the state mandated tax cap. There will be no need to adopt a local law to override the tax cap for this budget. Supervisor Steger stated the slight increase in the budget is due to mandated minimum wages for the seasonal employees and the increasing costs of insurance. With no questions, comments or concerns, a motion made by Councilman Christy, seconded by Councilwoman Eckman to close the public hearing at 6:07 P.M. The motion was carried unanimously.